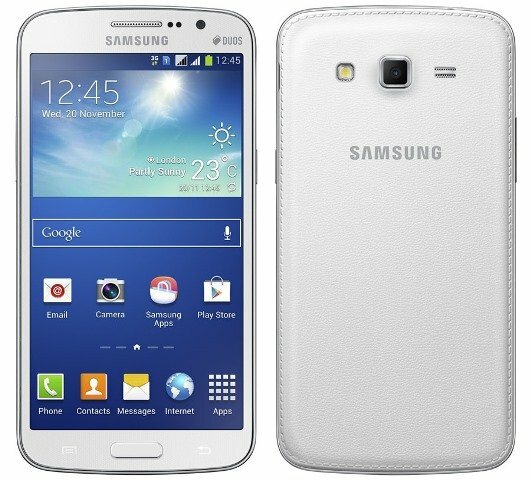 Samsung has recently announced the Samsung Galaxy Grand 2, an updated version of the Galaxy Grand. It now features a 5.25-inch display at 720p resolution and is slimmer at 8.9mm. The Galaxy Grand 2 is a mid-range Android smartphone ideal for users who want a larger display, but minus some of the features from the high end Android phones, like the Samsung Galaxy Note 3, that aren’t necessarily needed by the user to cut down cost. See more details below. The Samsung Galaxy Grand 2 is powered by a 1.2GHz quad core processor, paired with 1.5GB of RAM and an 8GB internal storage. The internal storage is a bit disappointing considering that this is a mid-range smartphone with a huge display. But good thing there is a microSD card slot capable of reading up to 64GB. There is an 8 megapixel rear facing camera with LED flash and autofucus feature, paired with a 1.9 megapixel front facing camera. The 5.25-inch display is not a Super AMOLED, it’s TFT only. But it is an HD display with a resolution of 1280×720. The body measures 146.8mm x 75.3mm x 8.9mm and is powered by a 2,600 mAh battery. Looking at the back of the Grand 2, it features the same leather-like plastic with stitching design, which was first seen on the back of the Galaxy Note 3. It will come in Black, White and Pink color scheme. The Samsung Galaxy Grand 2 runs on Android 4.3 Jelly Bean. It has dual SIM functionality (dual GSM), and as for its Data it features WiFi a/b/g/n, 3G HSPA+, Bluetooth 4.0, microUSB 2.0 and GPS with Glonass. Samsung also added some new features that are found in the Galaxy S4 and Note 3. For its camera, it features Best Face, Best Photo, and Continuous Shot. Meanwhile built in apps like Story Album, S Translator, S Travel, Sound and Shot, Samsung Hub, Ground Play and Samsung Link are also found in the Grand 2. As of todate, Samsung has didn’t mention about the Samsung Galaxy Grand 2 price. We don’t know when would be its release date or when will it hit shelves as well. I’m guessing that the Galaxy Grand 2 will be priced similarly or slightly higher than the first generation Grand. I’ll update this post once details regarding its price and availability is clear.